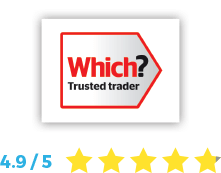 We're highly rated - here's some of our reviews across various websites. You can also leave your own feedback which would be greatly appreciated. I just want to say thank you for sending such a lovely, friendly and efficient engineer around this morning to do my boiler service. Your engineers are always so pleasant to deal with, but I understand this young man is quite new to the company. Very impressed. Steve completed the installation of my new combination boiler yesterday and although I was quite reluctant to accept this type of system at first, now it's finished I can see its many advantages so thank you for the advice you gave. As ever, your staff were helpful and polite and talked me through any decisions that were needed. They are always on time, very friendly and helpful and do an A-rated job. And always willing to help with any problems. Highly recommended. Excellent company who use very experienced installation and service engineers and put customer service and satisfaction first. Came out quickly, sorted the problem without overselling or overcharging - thanks! On time. Friendly. Reliable. Honest. Knowledgeable. Fair price and excellent workmanship. Have only used LW Gas and will only ever use them. 10 / 10! I had a complete new heating system with radiators installed in January 2919 and couldn't be happier with the results. The guys turned up on time, pleasant to have around the house and the work finished to a very high quality. They were happy to answer any questions you may have and took the time to show you how to set the temperature required. Would definitely recommend. The engineer was on time, polite and kept us informed on the condition of our boiler and gas fire. The boiler being 12 years old, not surprisingly needed some parts, the fitting was free as they needed to be removed as part of the service. The service appeared very thorough looking at all aspects of the operation of our heating system. The engineer left our house as clean as when he arrived. I have no hesitation in recomending this company on our experience. A highly professional firm that carries out work to an extremely high standard, skilled tradesmen that work very tidy, the L.W. Gas engineers are always prompt & courteous, knowledgeable & will explain exactly what work is involved as appropriate so customer feels informed throughout. I would highly recommend this firm. 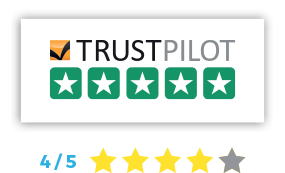 From arranging the appointment for a boiler service to the service engineer himself, everyone we dealt with was friendly and helpful. We have just moved house and the service engineer checked over everything, showed us how to work the central heating and advised us on the most cost efficient way of heating our water. A very reasonable price too. Prompt and efficient service. No hesitation in recommending LW Gas. Thank you for the excellent annual boiler service. as usual lovely engineers...so helpful, polite and friendly. All our dealings with this company have been excellent. A prompt efficient service with good workmanship & politeness. Boiler service excellent, plus, engineer had to find instructions to service a 25 year old gas fire on internet as I had not a copy - A brilliant performance and a very tidy job. My father who is a pensioner had no heating for 2 days. Called LW Gas Ltd and was visited within 3/4 hour of a call. Really caring and understanding man came and got heating working within 30 minutes. Fantastic service, would recommend to anyone. You recently serviced our boiler (service engineer Brandon) and he reminded us that we should get the update electrodes fitted. He had already told us about these the year before when he serviced our boiler. This time we took notice and arranged with Worcester to come and fit the parts. When the service engineer came, he fitted the parts and checked the whole system, going into the loft and looking at the meter. We told him who serviced our boiler. 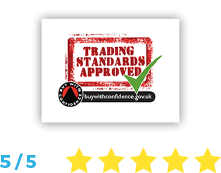 He said that in all the time he had been working as an engineer he was always totally impressed with any boiler fitted and serviced by LW Gas and was confident in all aspects of their work. The engineers came to install a new boiler. They were prompt and professional, everything was explained to me. They left everything clean and tidy and I am very happy with the result. After 50+ years in construction management this company rates amongst the best. Major work undertaken- all new radiators requiring plenty of under floor pipe work. Lee and his team were first class, right from the quote to completing this challenging project. Excellent pipe work and a really great bunch of guys who were courteous and gave explanations throughout. Any minor issues that inevitable arose, were dealt with promptly and professionally. We are totally satisfied with Lee and his team and recommend them highly.